We are offering Manual Clamping Fixtures to our clients. We are into the business of importing and supplying a wide rang of Myco Clamping Fixture. Made from superior grade material, our Myco Clamping Fixture is procured from the authentic manufacturers and vendors. Myco Clamping Fixture that we offer is accredited for features like high strength, dimensional accuracy, corrosion resistance, etc. 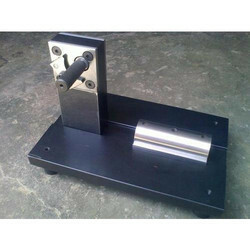 We are manufacturing Tool Fixtures / Clamping Fixtures / Tool Boy to tighten the tool in the holder. 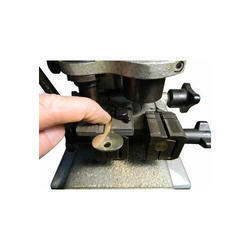 - Tool Fixtures Available - BT30, BT40, BT50, CT/ST/CAT/SK etc. Ideally suited to hold mould on Injection Moulding machines & die plates on press platen.Counter height adjustment provided by heavy-duty support bolt with hex and round base and lock-nut.